On the 14thNovember, Central Coast Industry Connect in conjunction with the Department of Industry’s Entrepreneurs Program, held a site visit at Airpak in West Gosford. Over 30 people were in attendance. The evening commenced with a welcome from CCIC Executive Director, Frank Sammut, followed by an introduction to the Entrepreneurs Program by Peter Davies. Kieran Moore, owner of Airpak gave insight into the growth of his business since its inception in 2003. Kieran described how the Entrepreneurs Program contributed to the development of his business. 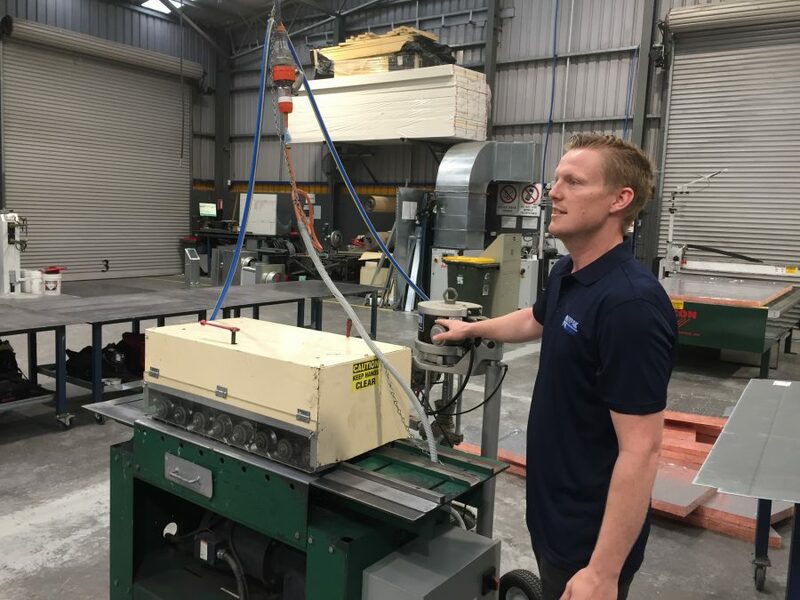 Within their processes Airpak have made small changes in innovations to improve the efficiency and reduce the cost of work and we were shown by Factory Supervisor, David Ash and Leading Hand, Joshua Turner how to make a portion of a duct. An interesting procedure Airpak use, is each component manufactured in the factory has a number which assists in the sequencing of assembly and by using a smart phone they can locate where each job is in its production cycle. Airpak took out the Excellence in Technology Award at last year’s Hunter Manufacturing Awards. Their new technology created safer working conditions and greater productivity. The Airpak business consists of two parts, manufacturing and the installation of the ducts. Throughout its history, Airpak has steadily grown to provide a first-class product for medium to large scale projects across the nation. They are the largest Sheetmetal manufacturer on the Central Coast and currently use approximately 40 tonnes of steel per month. The Airpak business continues to grow with its focus on strong customer service.